Alison has been holding women's circles for 17 years. She leads yoga retreats all over the world and loves helping people remember inner space and a free body. Her vision for Return of the Queen is to create a transformative, inclusive and healing space for women. Alison is a writer, yoga teacher, and moon devotee. She has been sitting in women's circles for many seasons. Helping to bring Kundalini Yoga to the Hudson Valley since 2006, Alli has trained many inspiring teachers and countless students. 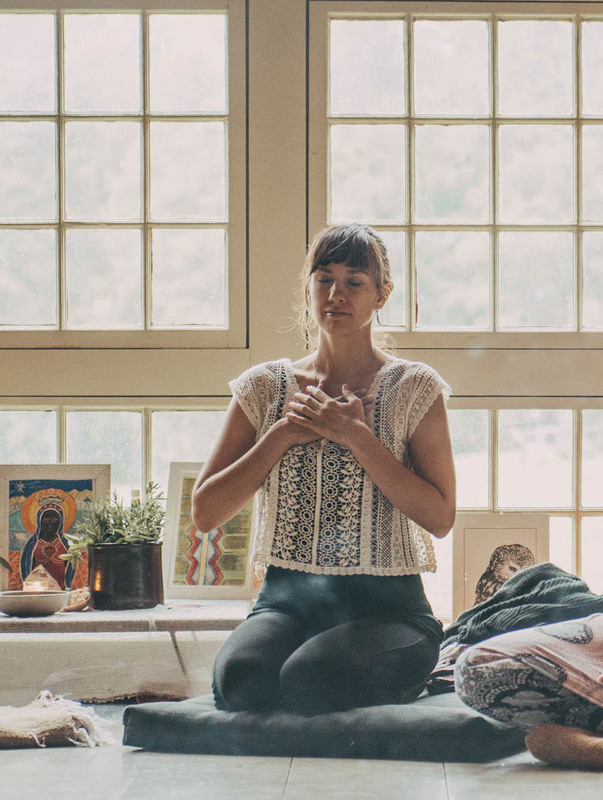 In addition to Kundalini, she draws on practices of Mindful Meditation, Spiritual Science, Sacred Feminine and Mysticism Studies, Ancient Wisdom Traditions and the curiosity of living life filled with big questions. Danika is a yoga teacher and Counseling Astrologer based in New York’s Hudson Valley region. She helps her clients to trust their own intuition both on and off the mat, and guides them towards a greater sense of physical and spiritual well-being. She will be offering one-on-one astrological readings. A transpersonal hypnotherapist, Gaurapriya facilitates deep transformational experiences and intuitively guides people along their journey. She will be offering breathwork and past life journeys. Inanna, RN, LMT, mother, grandmother, and Alison Sinatra's mother in love (not law), offers nurturing and intuitively guided bodywork that draws from many traditions. Her work releases trapped toxins and calms the nervous system, resulting in increased but centered energy. . Her work releases trapped toxins and calms the nervous system, resulting in increased but centered energy. 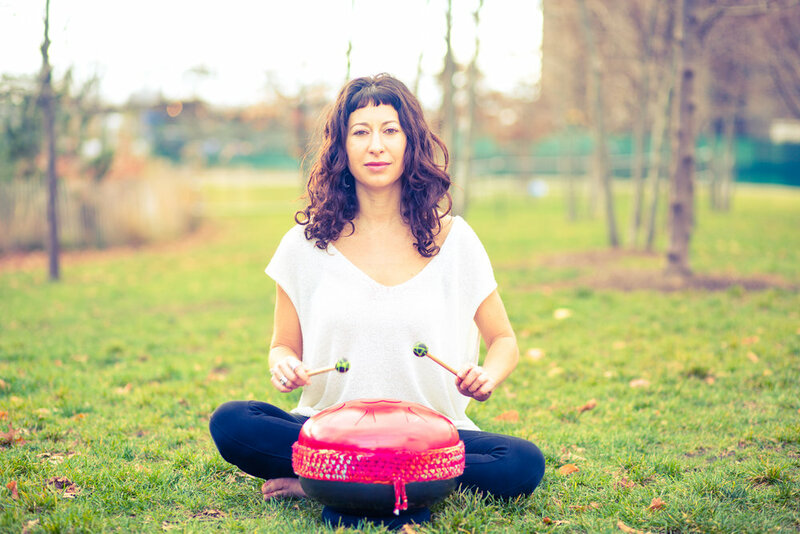 Jessica creates sound baths and meditative soundscapes for yoga classes and events around the world. A certified sound therapy practitioner, she leads workshops, retreats, and trainings in voice and sound healing, weaving in her knowledge of yoga, Native traditions, shamanic practices and classical North Indian singing. She is the co-creatrix of SoundMind, an audio meditation series. Rooted in spiritual practices, traditional psychotherapeutic modalities and body oriented therapies, Nadia brings an integrated approach to her work in facilitating individuals towards their healing. Certified as a massage therapist, yoga teacher, personal trainer, Urban Zen Integrative Therapist, and a Reiki and essential oil practitioner, Sandra seamlessly integrates all of her modalities into thorough and intuitive bodywork. Her goal is to create space so that all parts can come back into alignment, leaving you lighter, softer, and more clear. Summer works with energy lines in the body to bring about emotional release. Her ability to mirror and move energy comes from years of yoga, Ayurveda, 5 elements, aroma acupoint, Tibetan Buddhist prayers, Reiki and a deep reference for being in this human body on planet earth. Susan (Alison Sinatra's mom) has been writing and collecting stories for years. She is a gifted teacher and is thrilled to share her love of and tools for powerful self-expression. BFFs and repeat guests at Return of the Queen, Violet and Adelaide will be offering high-vibe, totally transformational manicures and spa treatments throughout the weekend. Pam and Mimo Camara fell in love in 1996 and have been teaching and performing together ever since. Pam turned to the dances of Africa and the diaspora when she moved to the Hudson Valley in 1983. Mimo was a lead dancer with Guinea’s national troupe Les Ballets Africains for 18 years before immigrating to New York; he has shared the dances of his home with audiences and students throughout the world. We are thrilled to have these bright lights back for a second year. Miguel Mendez and Natavi Orion are official Knights of the Queen! Having taken an oath of service, they use their culinary and spiritual gifts to honor the Divine Feminine in all its exquisite beauty and creative essence. It is their mission to use food as medicine to nourish and support the deep, powerful work of women coming together. Stephanie Diamond has been dancing the 5Rhythms since 2006. She teaches with humility and vulnerability; she believes we are open vessels together on the floor. Stephanie's artworks have been exhibited at MoMA and MassMOCA.